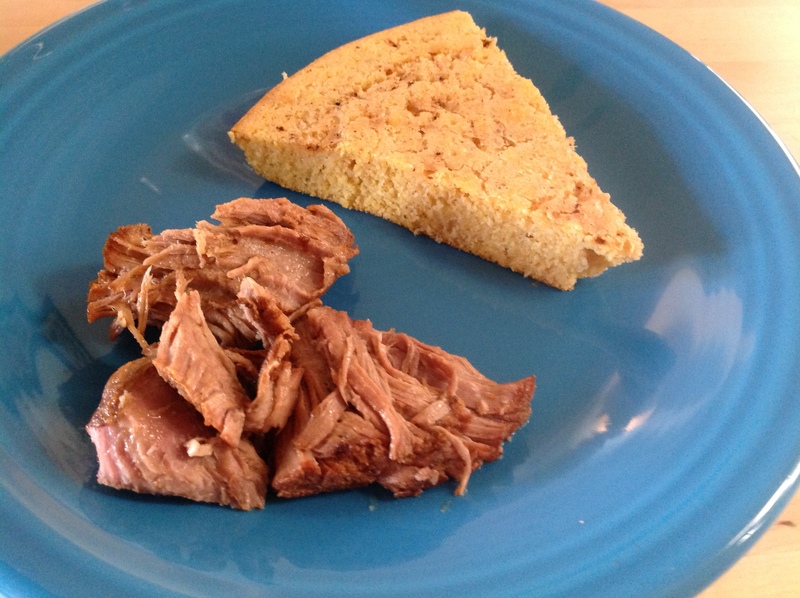 Welcome to my first official low FODMAP recipe – this delicious and easy Slow Cooker Pulled Pork. These two ingredients form the base of so many savory recipes, providing that umami flavor that is hard to replace. Do you know how many sauces, broths, and condiments already contain onion or garlic? Start reading labels and you will see that everything from ketchup to Worcestershire sauce to chicken broth all have at least one of these ingredients. Since garlic and onion are found in nearly everything, to avoid them you often have to make your own sauces or go without. This recipe for pulled pork gets its flavors from the mix of spices (be careful of spice blends that contain onion and garlic), and some sweetness from natural pineapple juice. And the best part about slow cooker recipes is that they’re usually pretty hands-off. Begin by heating up the canola oil in your slow cooker on the “brown/saute” setting if you have it. 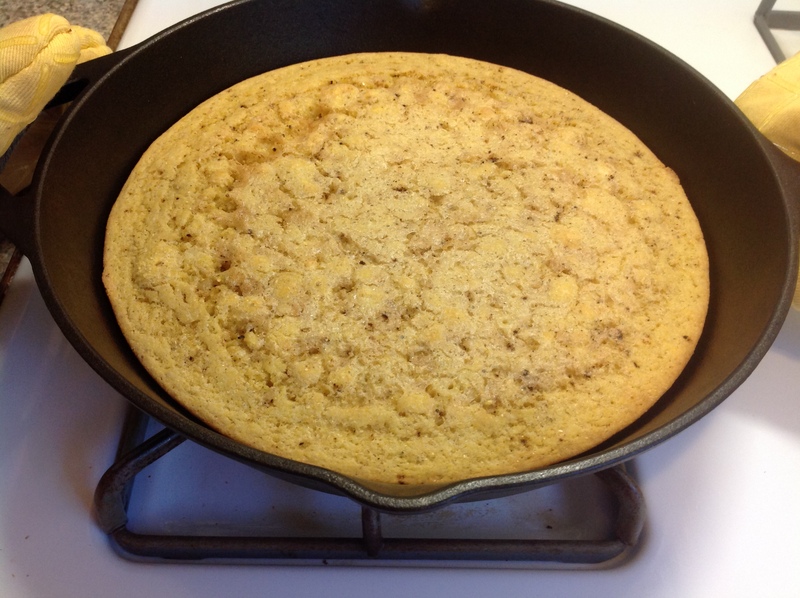 If not you can either skip browning it or brown it in a pan on the stove. 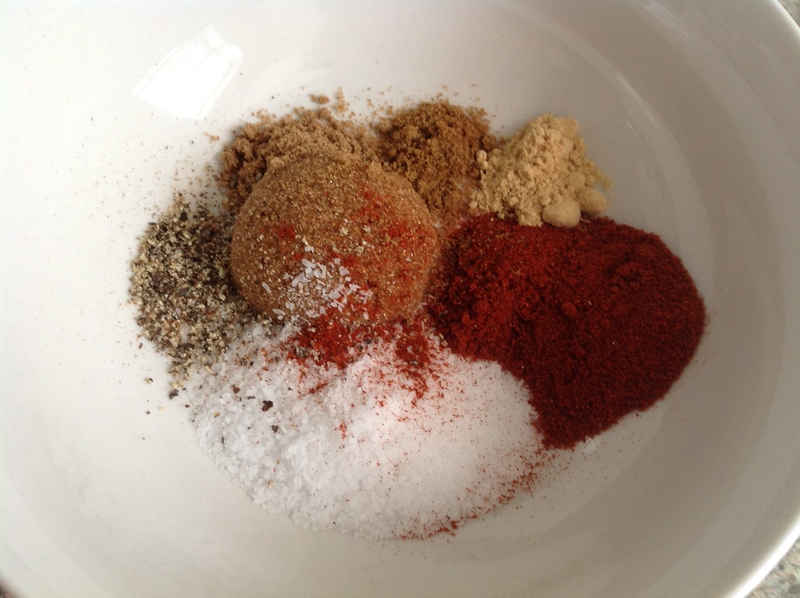 While it is heating up, in a small bowl mix together the brown sugar, salt, and spices. If desired, cut your pork down into 2 or 3 manageable pieces and remove any large slabs of fat on the outside. Rub your spice mixture all over the pork (you may not need all of it). 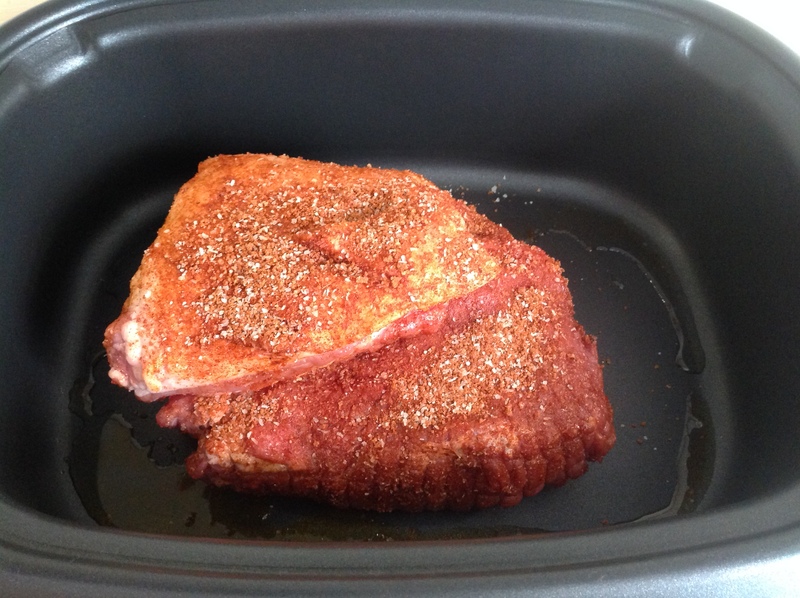 When the slow cooker is sufficiently hot, add your spice-rubbed pork allowing it to brown on one side without moving it for a few minutes. You want a nice, crisp, brown exterior. Using tongs, carefully flip it over to brown the other side and cook for a few minutes (if you cut your pork into multiple pieces you’ll get more crispy, browned bits). If desired, flip to brown all sides (even the ends). 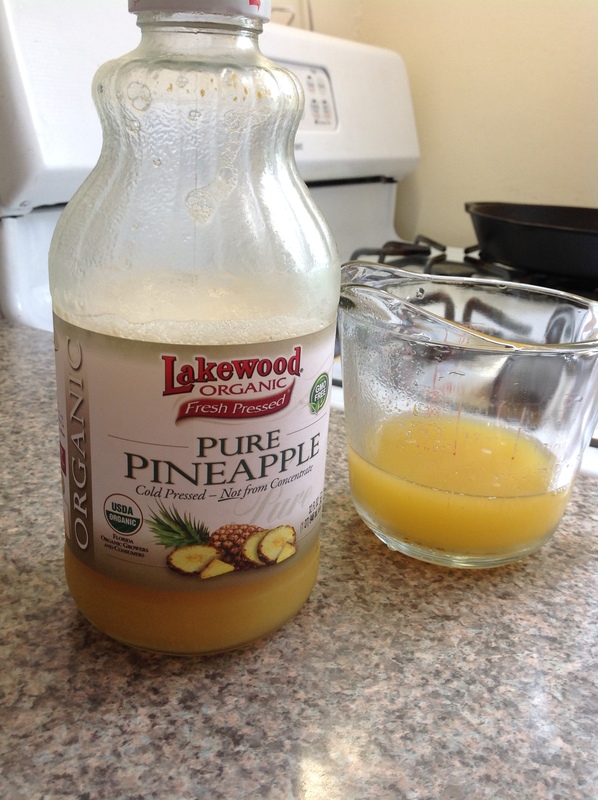 Once browned turn the setting to low and add your pineapple juice and water. 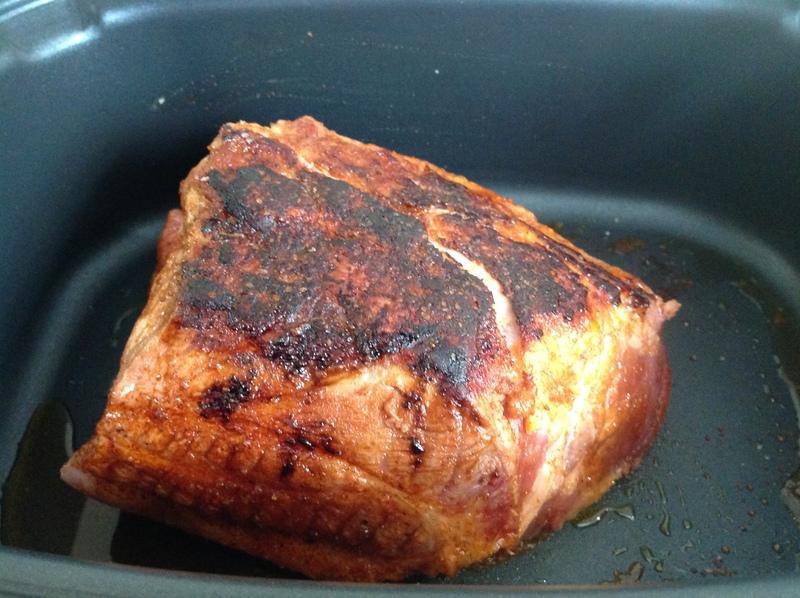 Cover and cook for 7-8 hours or until pork is tender and falling apart. Serve with barbeque sauce. OR For a stronger barbeque flavor, drain the juice after the pork is done cooking and add 1.5-2 cups of barbeque sauce. Let cook for another hour and taste. Note: I found that though the pork was fairly tender after 8 hours in my slow cooker, I could’ve left it even longer (though I left mine in one piece from the beginning). Remove from the slow cooker and shred. If desired, pour some of the juices over the pork or discard. Serve with your favorite barbeque sauce. 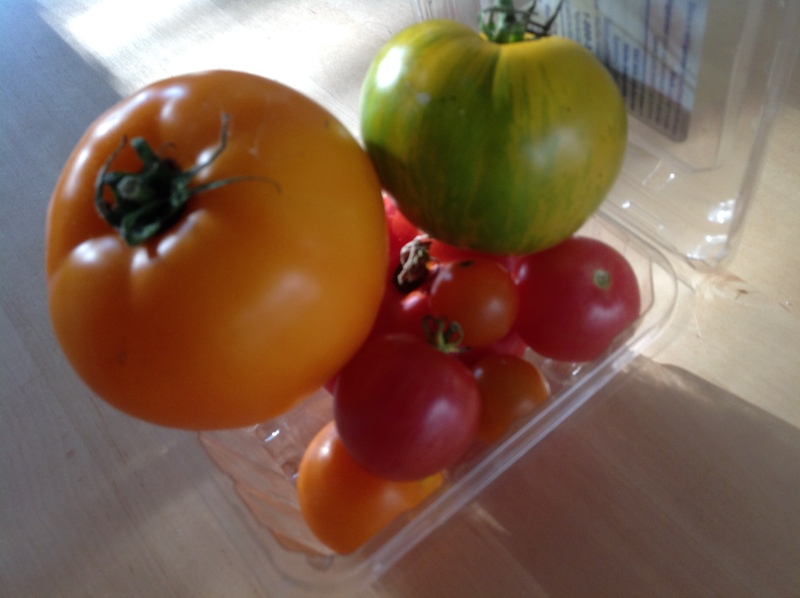 Our upstairs neighbor brought us over some beautiful tomatoes from her community garden plot and we threw those in with our salad. Yum! 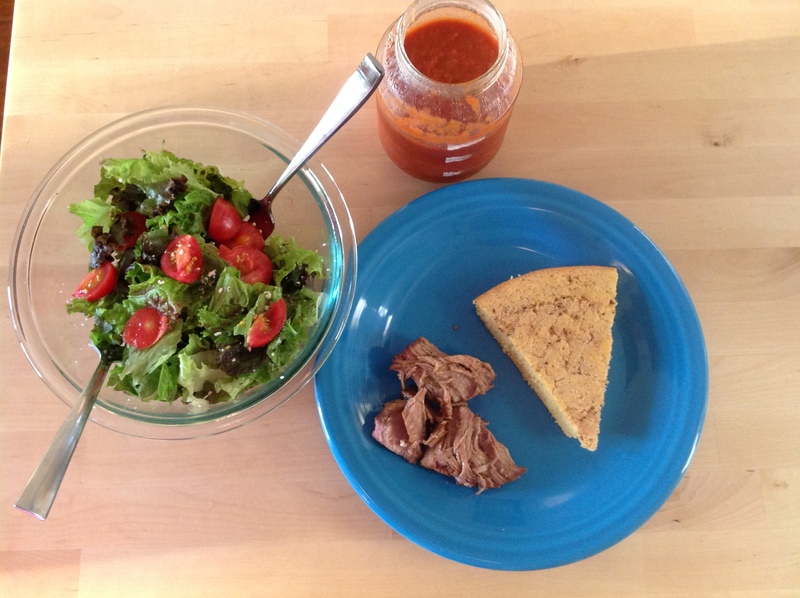 This was a delicious and low FODMAP meal, though the tomatoes might have been a little too acidic for me in the end. If this is the case for you, the pulled pork is totally delicious on its own without any sauces. As a kid living in Ohio, our family vacations often took us to Michigan where much of my extended family lives and where we enjoyed summers on the lake and days spent blueberry picking. I remember each of us would have a giant bucket that we tried to fill as full as possible with the biggest berries. My mom loved to load up while they were in season so we could take them home and put them in the freezer for the dead of winter when we wanted a good pie or batch of blueberry muffins. A few years ago I got in my head that Sam and I should go blueberry picking around Boston. 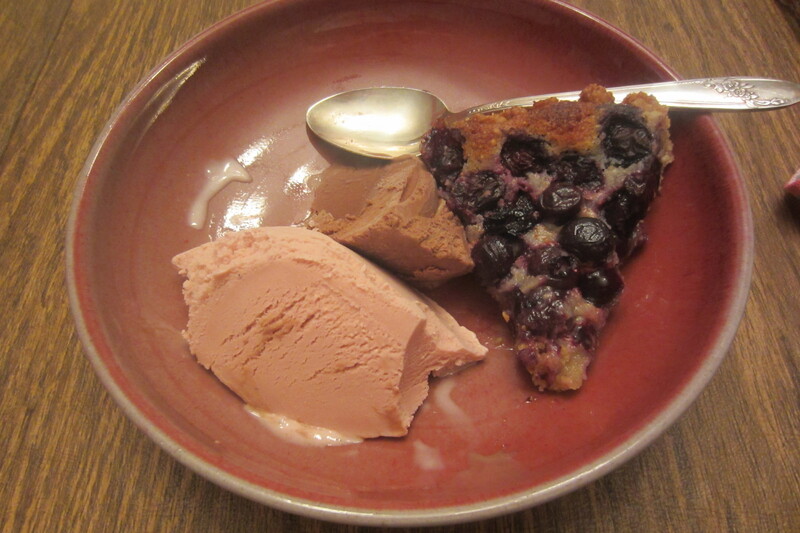 We took our time making plans and by the time we got around to it, we pretty much missed blueberry season. We got to the fields and picked less than a pint of blueberries and raspberries and returned home disappointed with our timing. I since haven’t tried blueberry picking in the Northeast, but I’ll always remember those summer days picking blueberries in Michigan. This weekend we ventured to see our friends an hour south of Boston and we were in charge of bringing dessert. 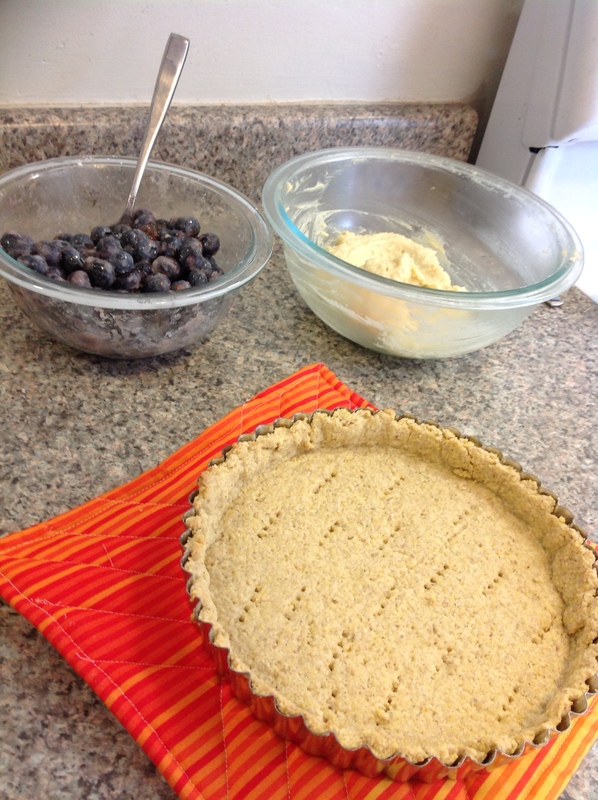 With blueberries bursting with deliciousness in every market this time of year, I decided to feature them in my dessert and of course I thought I’d make a pie. But not just any pie of course – psha! I have been dying to try this New York Times gluten free pie crust recipe so I figured this was the opportunity. Just in case it was lacking in flavor, I thought I’d fill my crust with frangipane – a buttery almond filling that transforms this instantly from pie into a tart (how elegant!) 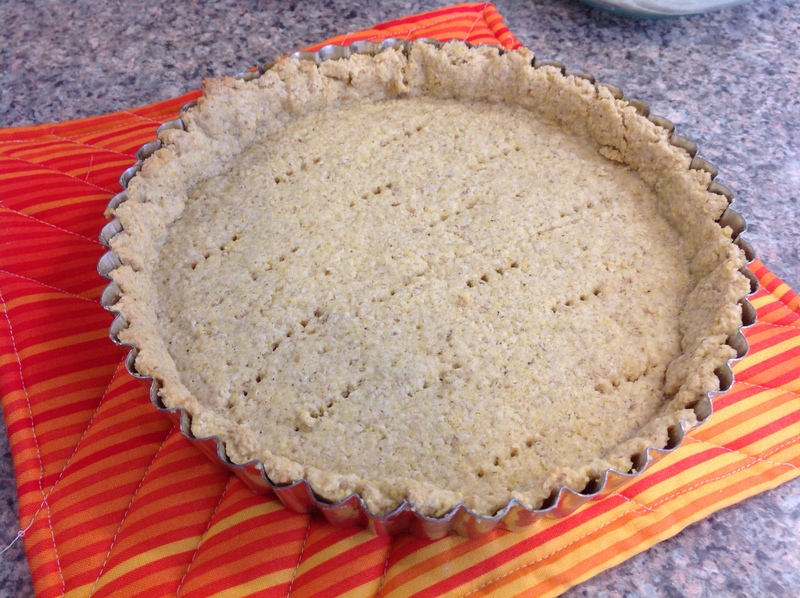 I followed this recipe from the Kitchn using the NYT pie crust as my base. And what a delicious tart it was. 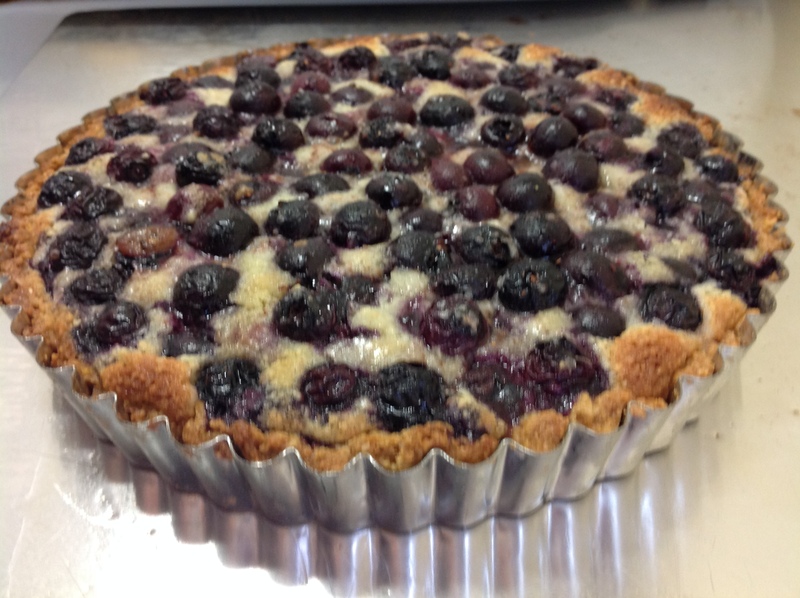 The crust was crunchy, the filling creamy but with a texture from the almond meal that added a nice mouthfeel and the blueberries melted into the whole thing. Scrumptious! Next time I might use a finer ground cornmeal and actual oat flour (instead of just finely ground oats) to make the crust not as gritty. And for those of you wondering… the wedding and honeymoon were wonderful! I can’t believe it’s August already. Time flies. I am back and back to cooking. (And I realized while on vacation that as much as I like to cook, I like taking a break from it every now and then. When I am well fed and other people do the cooking I am quite content.) Nonetheless I am back and ready to get back at cooking. 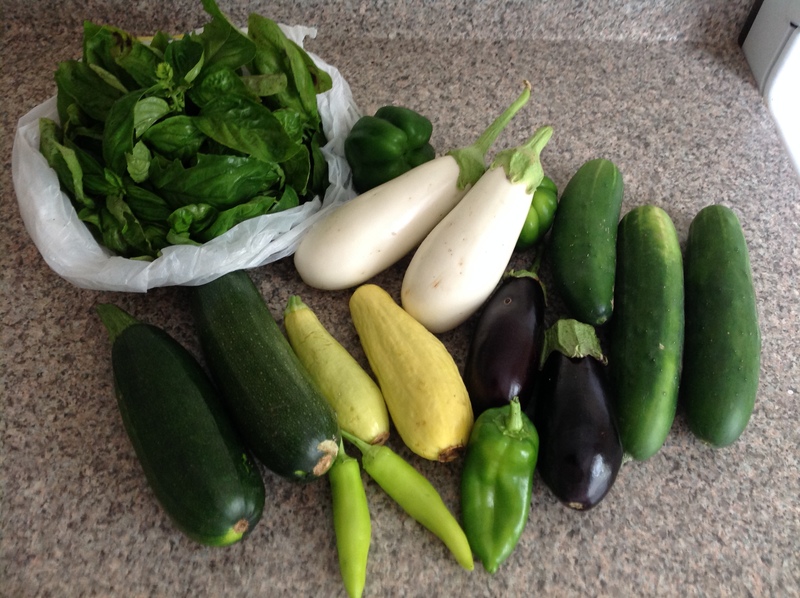 Our adventures in Attleboro also rewarded me with a pile of delicious farm-fresh veggies! We wandered the giant garden that my friend’s dad tends to with some other folks, marveling at the beautiful colors and shapes that mother nature gives us. 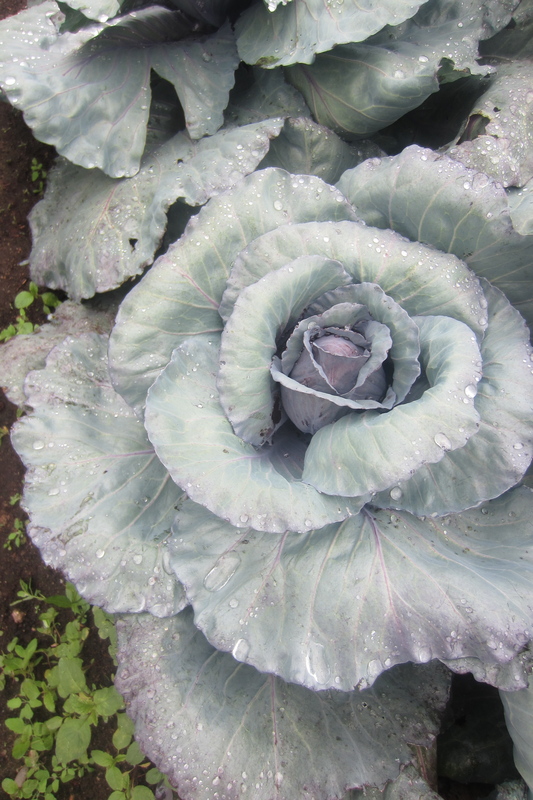 The vegetables were made all the more beautiful by the fresh raindrops that landed on their leaves. 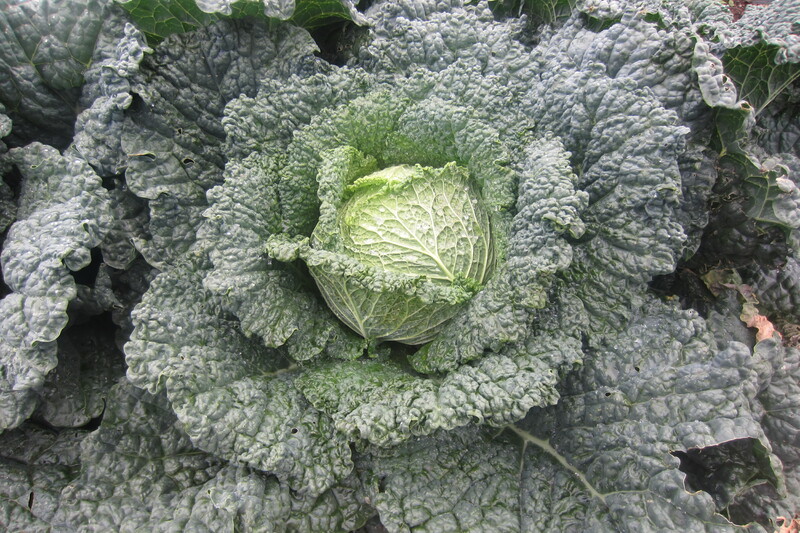 Something about the purple cabbage blooming out into several feet made me think of some kind of fairy tale. 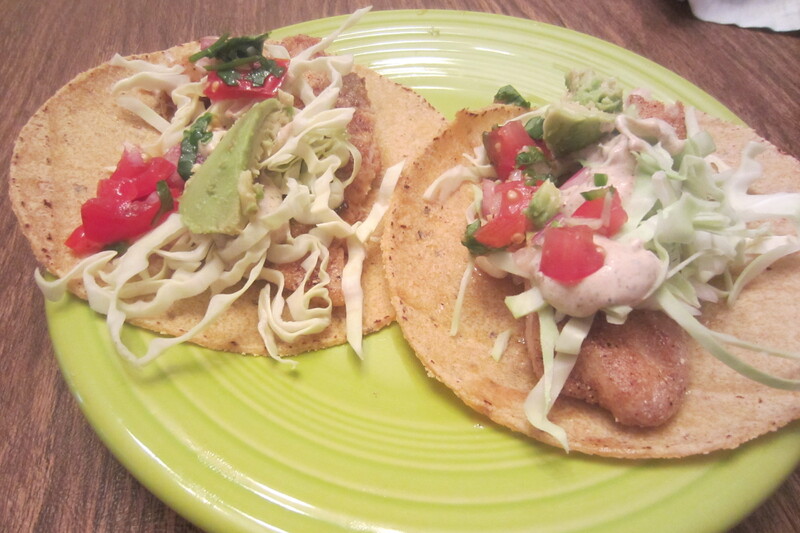 After picking as much as we liked, we returned to their place for fish tacos and games. And then enjoyed our tasty tart. 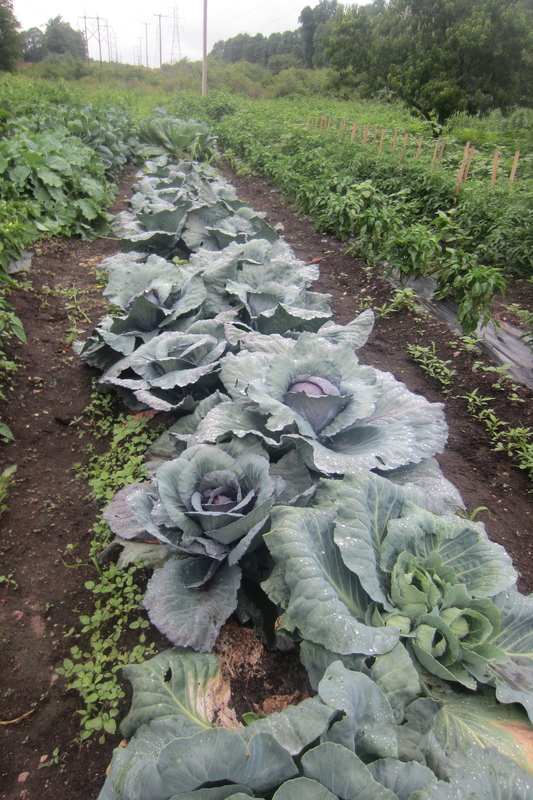 Looking forward to turning these beautiful veggies into something yummy!